We had a really fun trip to Florida for Christmas! M was a total champ while traveling. She walked with her violin on her back and pulling her small carry on rolling suitcase. We had a good time on the plane for the most part, eating treats most of the way. 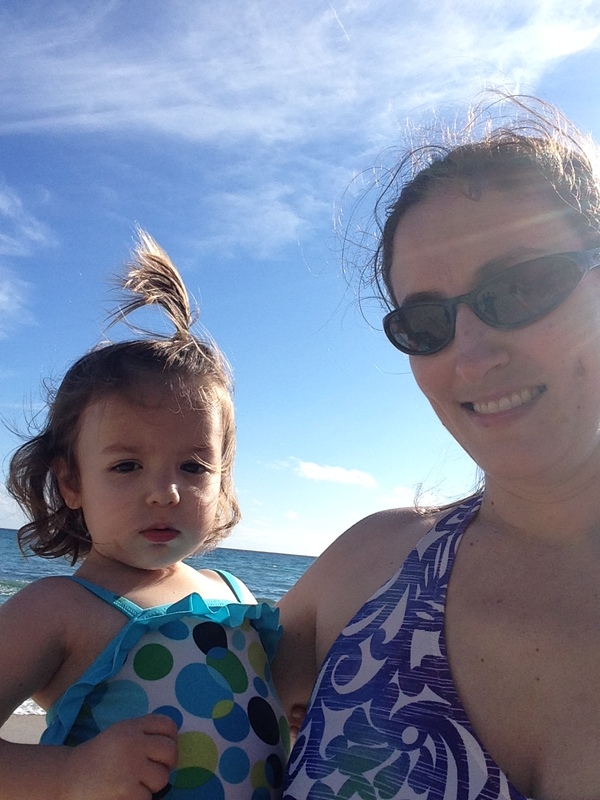 I had to work a few days of our week stay, but we were still able to make it to the beach and see all of our family. 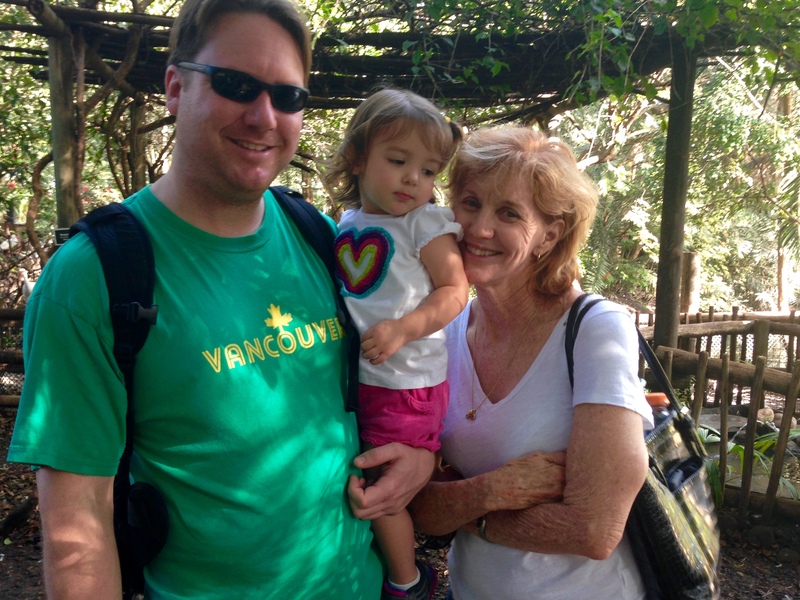 R got the girls to the zoo with his mom, our niece and one of his childhood friends and her family. 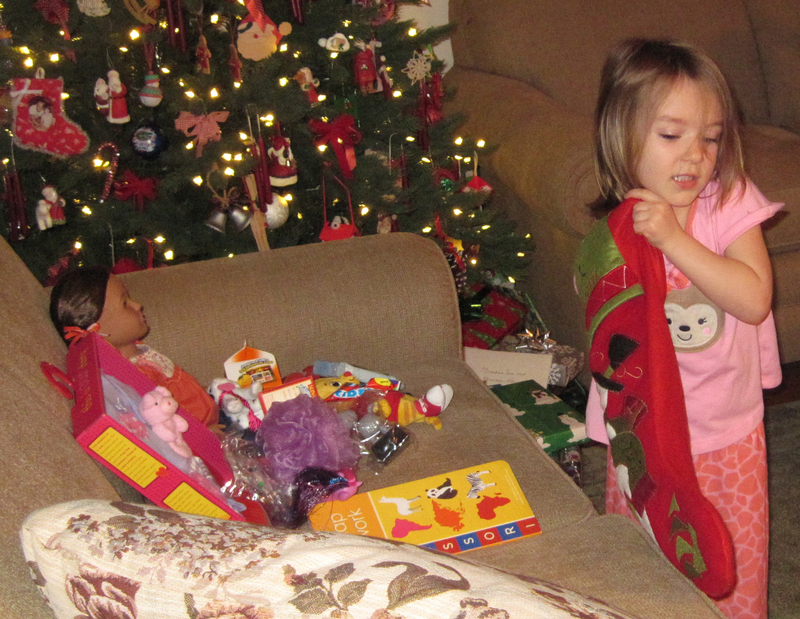 We had four Christmas celebrations in Florida, in addition to the one we had here before we left. We have way more stuff than we need, but we are so thankful for thoughtful family. 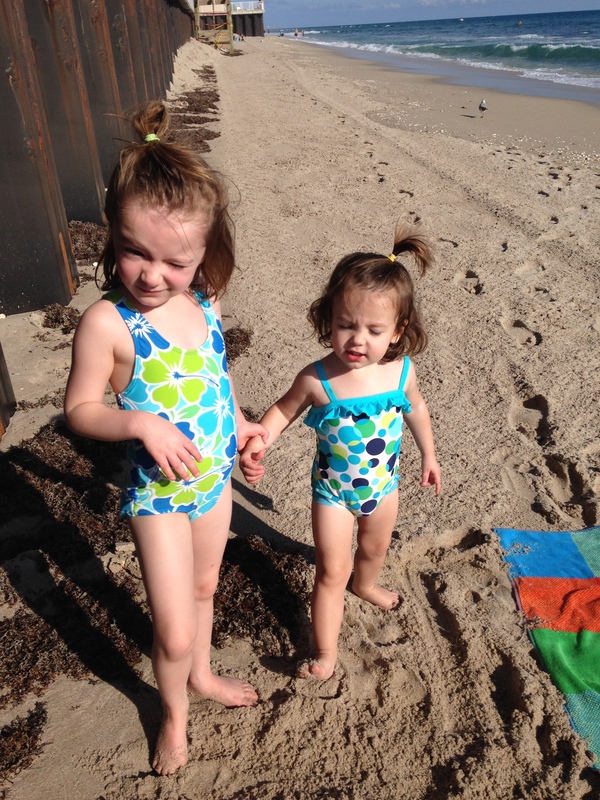 The girls had mixed feelings about the beach. M had to be bribed with donuts to go anywhere near the sand and refused to go near the water because of the jellyfish. 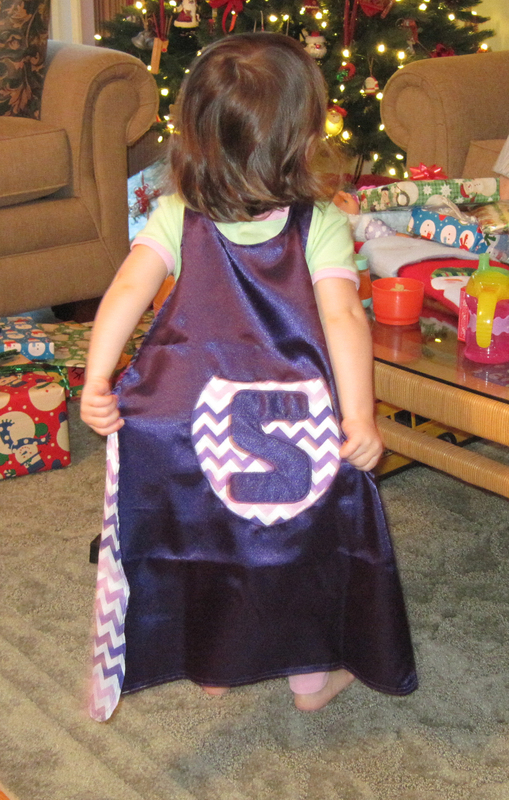 We could hardly keep S from running head first into the strong tide. We didn’t stay long. This year, M asked Santa for a doll with hair she can brush, but changed her mind after Santa had already done his shopping and asked for a pony with her she could brush. She was lucky he was able to pull off both. She has yet to brush anyone’s hair. S “asked” for a baby doll, as her sister has several and doesn’t really love to share, even though she doesn’t really play with them. S loves her new baby doll and putting the binky back it’s mouth 85 times a day. We were lucky enough to meet up with a few old friends – one with a new baby, one about to embark on a cross country move with her little family, one from the military and a few WPB hold outs. Here are a few photos from our trip. 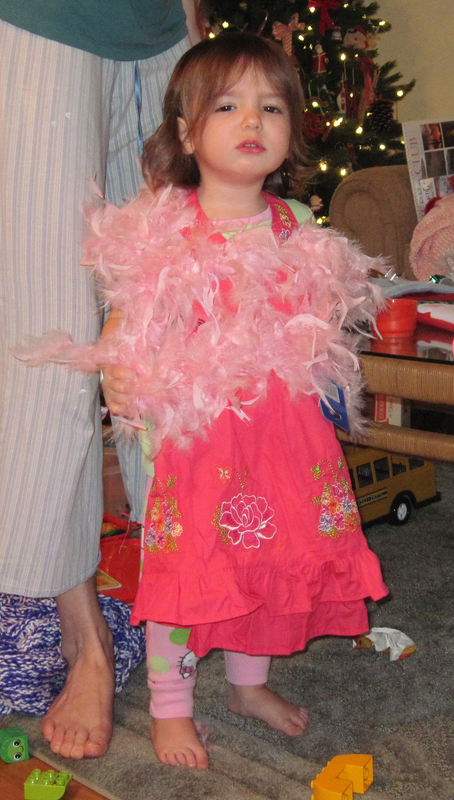 Thank you to Aunt Beth and Uncle Roger for the adorable dresses and the feather boas. 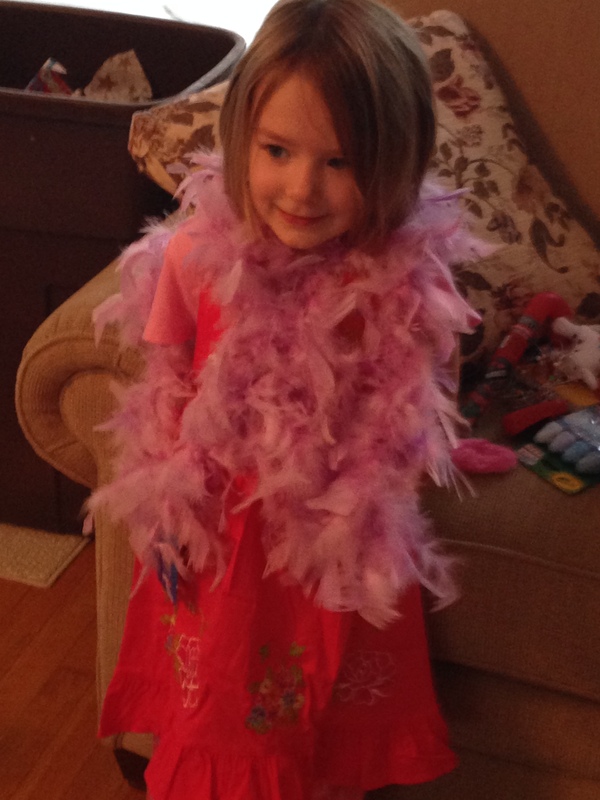 I promise S liked hers, even though she looks less than thrilled here. 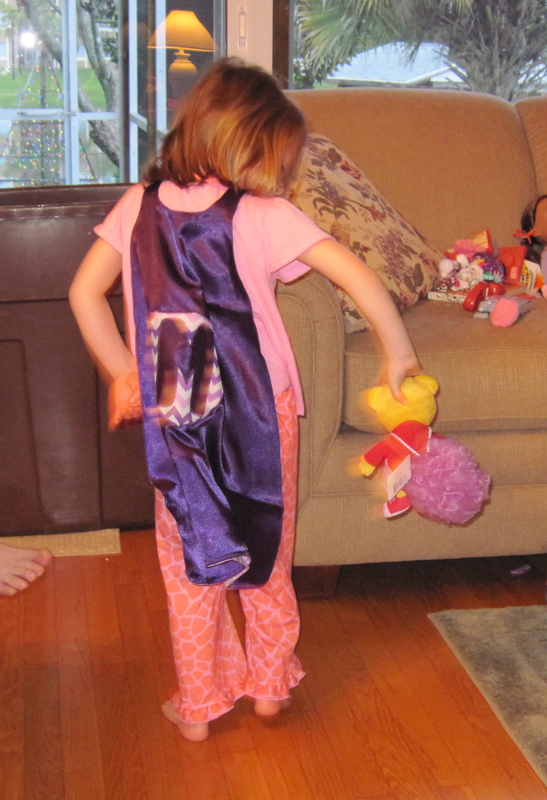 My mom MADE the girls super hero capes! My mom decided to get their pool heated. I know this seems silly in Florida, but it made such a difference. We swam just about every day. But only made it to the beach once for less than half an hour. 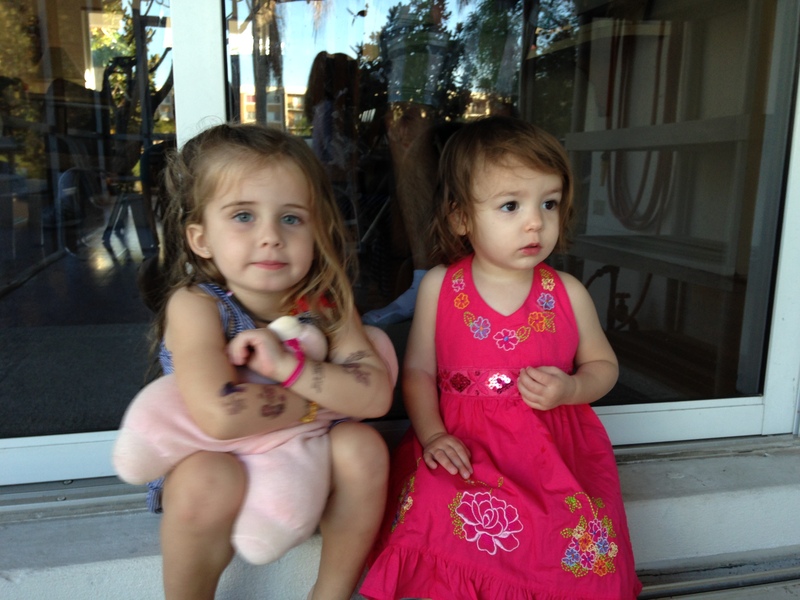 M really hit it off with her cousin P (a few years older) and S really hit it off with her cousin K (a year or so older). And the kids all loved the zoo, especially the splash pad. 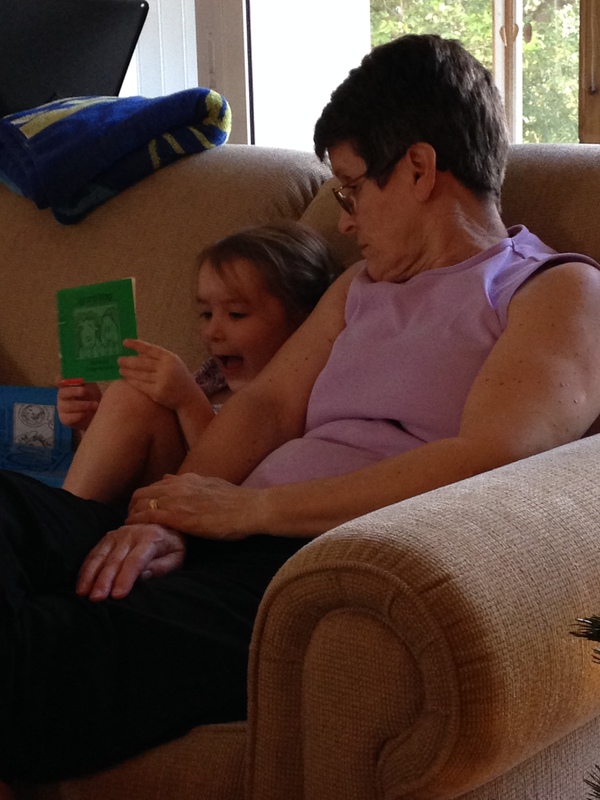 When asked her favorite part, M replied that she loved seeing all her family. 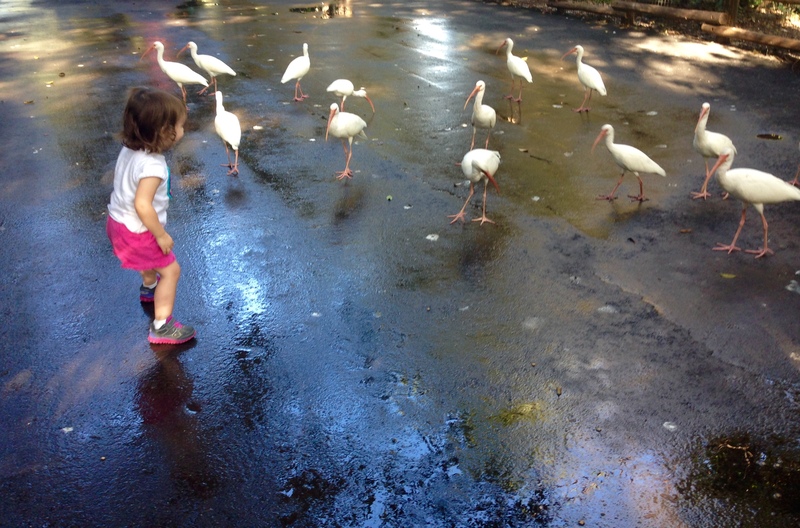 This entry was posted in Christmas, Family, Florida, Miss M., Miss S.. Bookmark the permalink.